Parquet flooring is an excellent way to add some authentic style to any room. True reclaimed parquet flooring is becoming more and more difficult to find and this tends to put the price out of site for most budgets. An intermediate way for us to provide this authentic parquet flooring at affordable costs is to create them ourselves out of our reclaimed wood. This allows us to provide any style of parquet flooring you want and still retain the authenticity of the wood by using our reclaimed woods. We can make your Antique Parquet Flooring with any of our species of reclaimed woods that we carry (Oak, European Oak, Chestnut, Douglas Fir, Hickory, Walnut, Maple, Redwood, Cedar or Teak), or even use a combination of different woods to attain the perfect coloring. For many years we have been manufacturing high end parquet patterns that you will find in famous palaces in Europe and contemporary homes throughout the world. 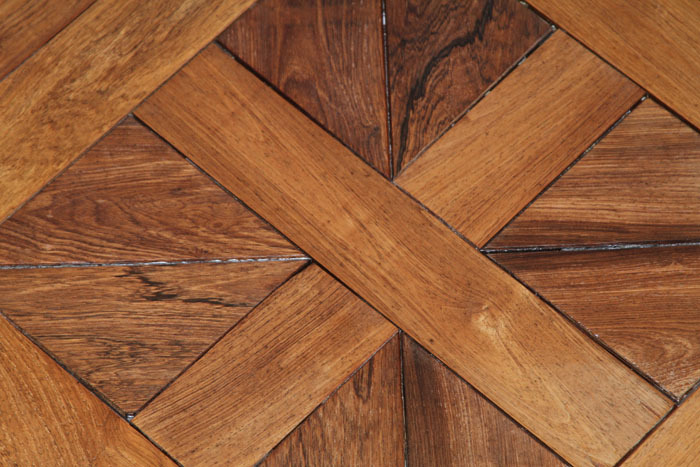 Our Parquet Flooring comes in a variety of styles and colors. Wood parquets are made to last a lifetime and they are a good investment for your home. We pay attention to precision and detail in the construction of the reclaimed parquets. We start from choosing each piece of the material before being assembled to have a better outcome and to have a more excellent end product. We have a passion of making each project unique for our client - from the more rustic style parquet to the new modern styles we can do them all. 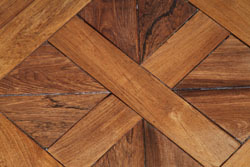 If you have already found a parquet pattern that you like, we can create it for you. Just give us a call and send us the pattern or image and we will provide you an estimate. We can create Parquet Flooring out of any type of wood you require. We will also custom finish it and stain it to your needs so it will make your home feel like it is truly "Your Home".